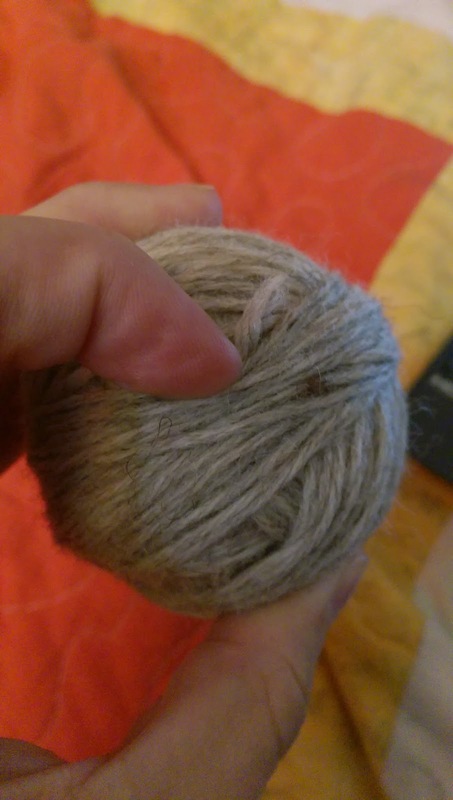 If you’ve been living under a rock and haven’t heard of dryer balls (I kid, I kid…but really…), they are balls of felted wool that you place in your dryer in lieu of dryer sheets. They help cut down on drying time, don’t get stuck in your underwear, only to peep out at the most inopportune point of your day, and are a great natural laundry solution. They’re also super easy and cheap to make. That’s my kind of solution! 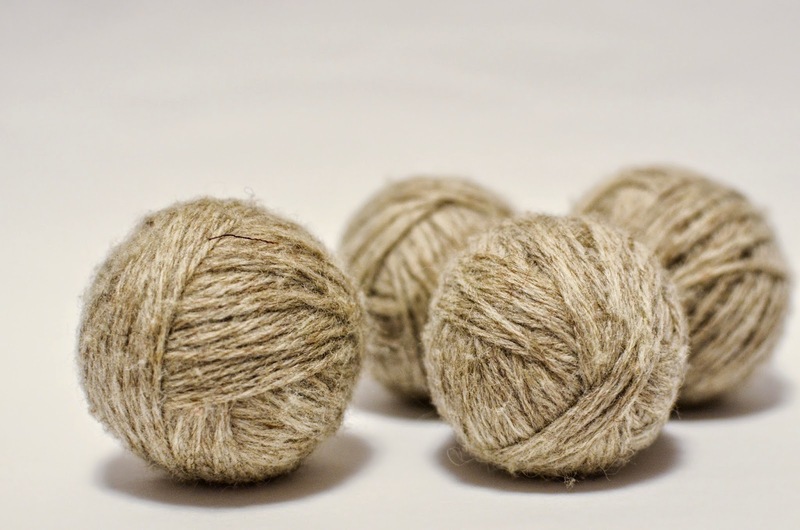 I’ve tried a couple different types of wool, but the one I like best is Fishermen’s Wool. I’ve found that it felts nicely, holds up well, and doesn’t leave fuzz all over your clothes like some of the other’s I’ve tried. Some people make dryer balls in an assortment of colors to switch out depending on what clothing you are drying, but I’m a simple gal and stick with an Oatmeal or Natural color scheme. 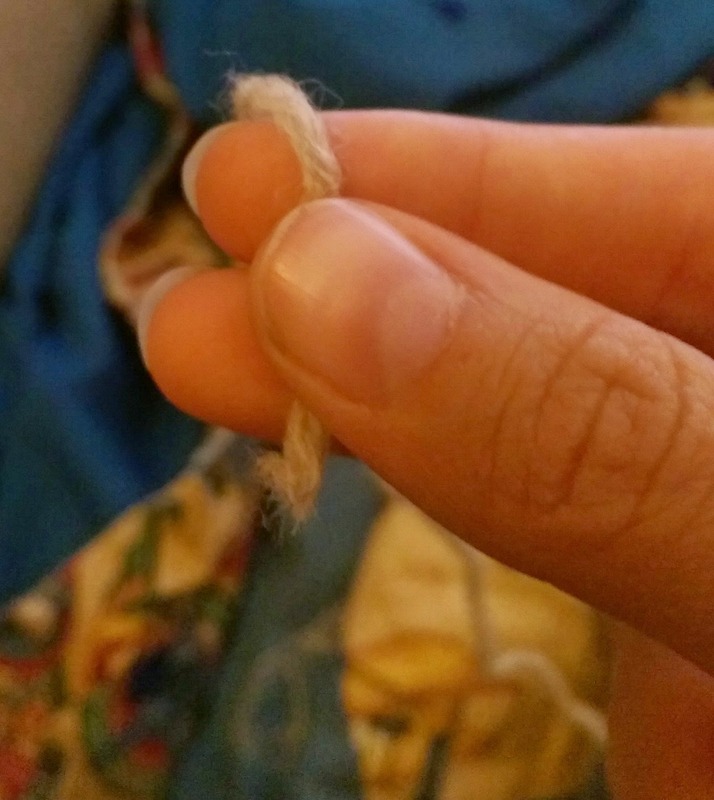 To start, hold the end of the yarn between your thumb and first two fingers. 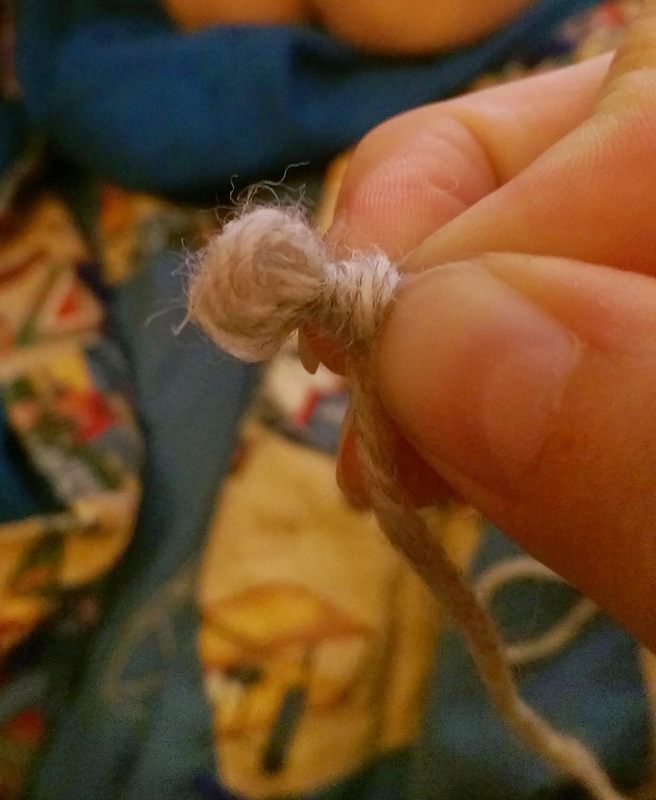 Wrap it around your first two fingers about 3 times. 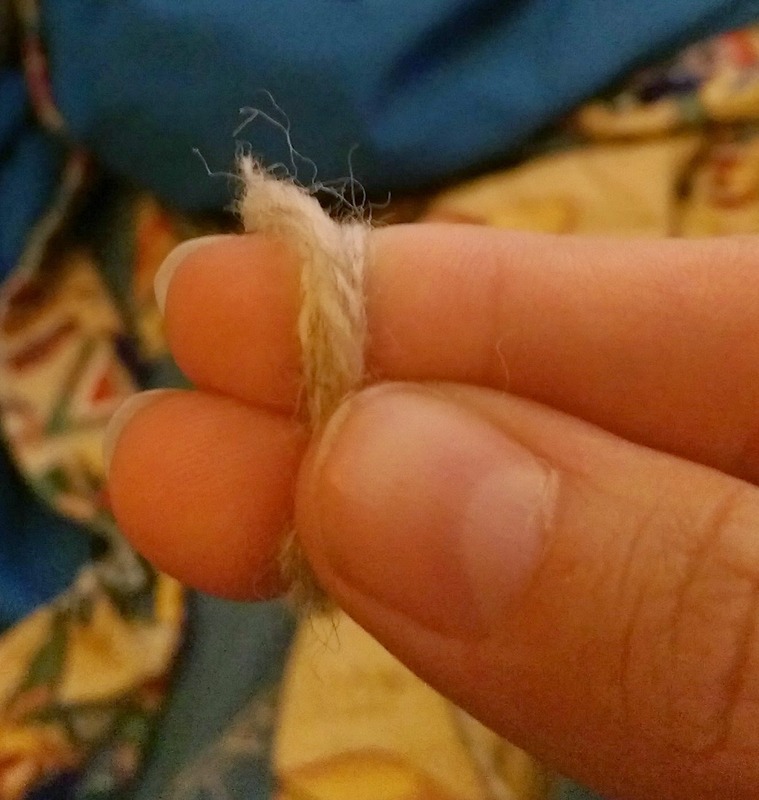 Next, slide the yarn off your fingers, pinch it in the middle, and wrap the yarn around the middle about 10 times. 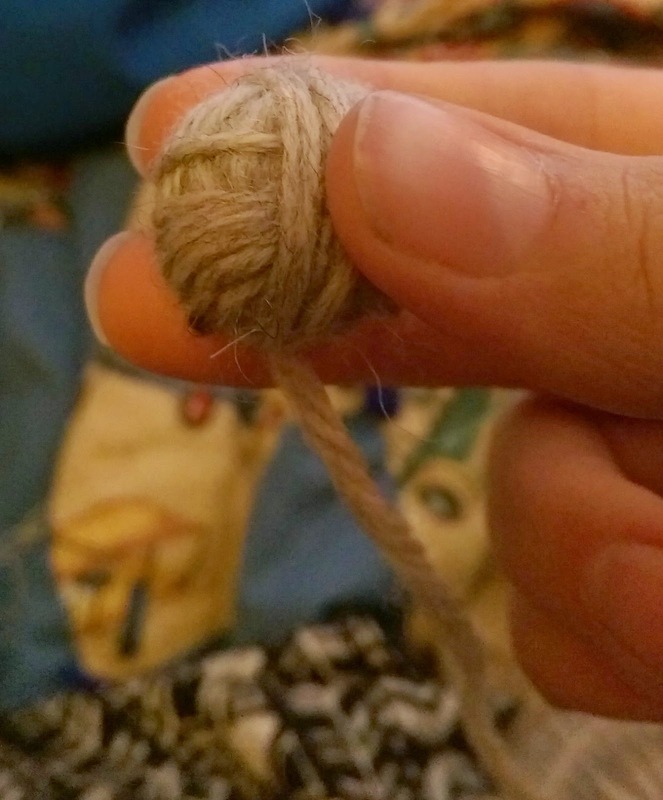 Then, continue wrapping to form a ball. I generally wrap until the balls are about tennis ball size, and I make four. You could, however, make a smaller number of larger balls, or make more balls. 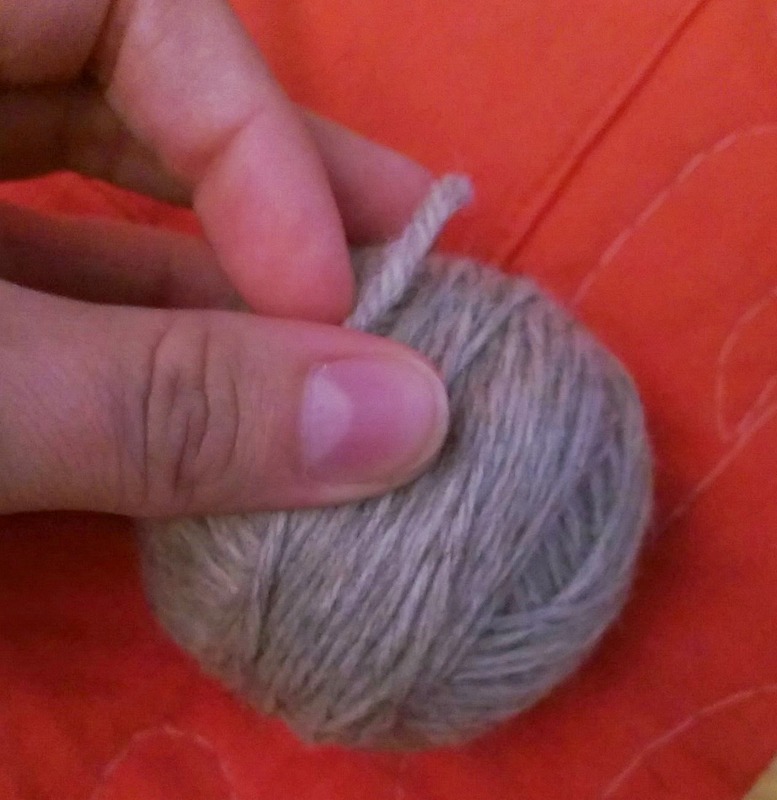 When your ball is the desired size, tuck the end under the other layers of yarn. 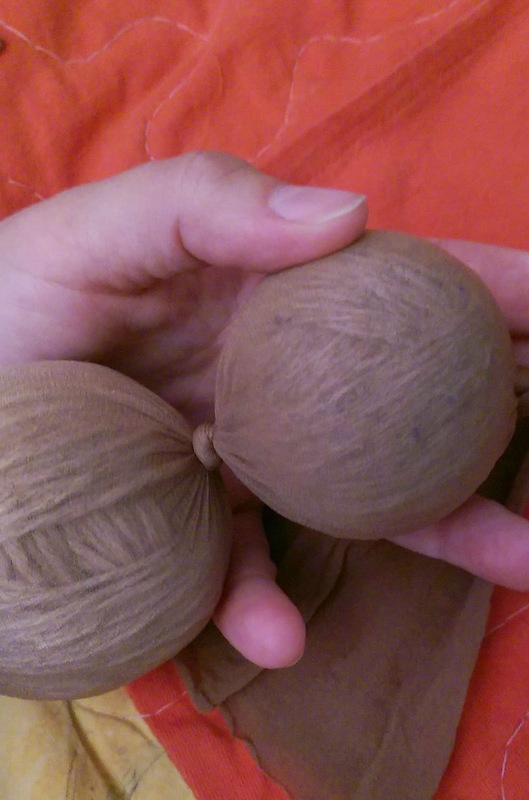 Then, tie the dryer balls into an old pair of hose or knee highs, separating each ball. Throw the whole chain into the wash on hot, then dry on high heat. The heat will felt the wool and keep the balls formed. To add scent, put a few drops of essential oil (I like Orange or Lavender) to each ball, adjusting to suit your needs, for about 10 minutes. If you find that you are having issues with static, pin a safety pin to a spare sock or scrap of cloth and leave it in the dryer with the dryer balls. If you don’t have a safety pin, you could also use a ball of foil.